Unlike today's models, Ironhead Sportster engines were designed to be rebuilt. Among the many serviceable parts are the main bearing races, which can be honed oversize and fitted with new oversize bearing rollers. If your Ironhead cylinders are original (not aftermarket) they have enough material to be bored safely up to .060" oversize. But an Ironhead engine build will require special skills and specialty tools. 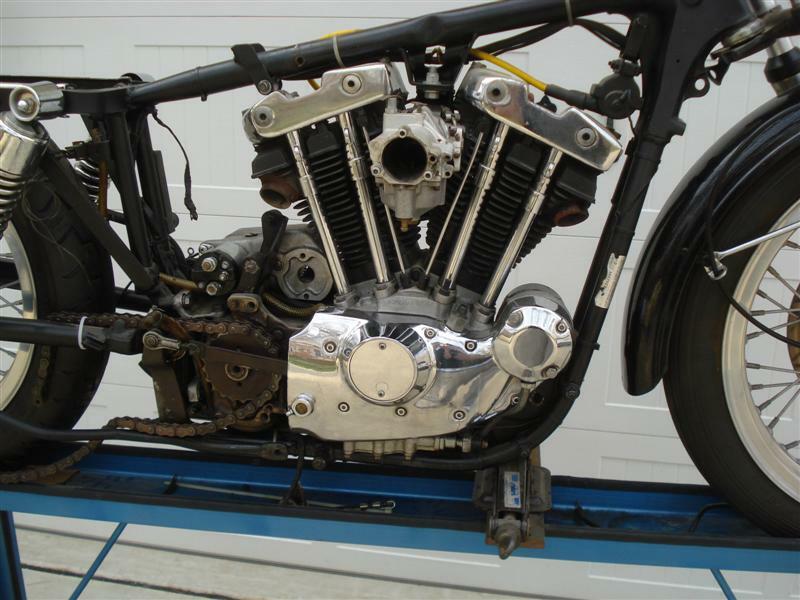 A vintage Sportster engine will take considerable time and money to rebuild properly. If you're thinking of having it done at a motorcycle shop, a complete Ironhead engine build could easily run $2,000 with some shops quoting over $3,000. 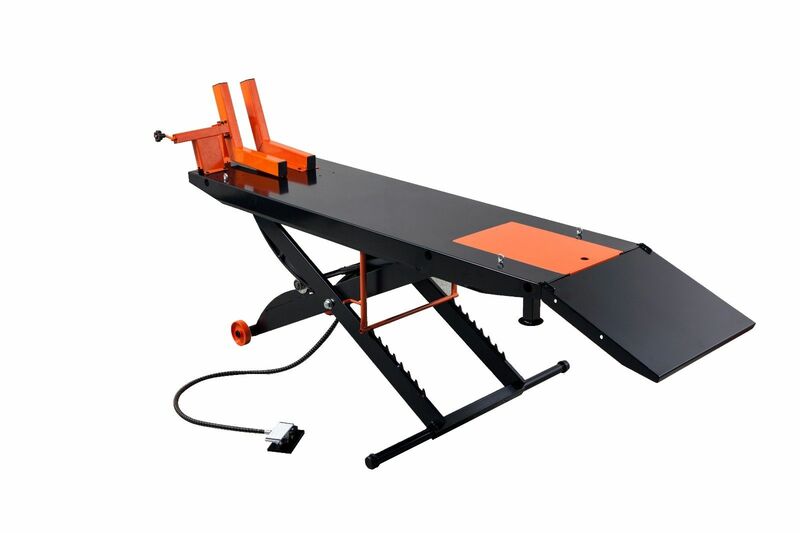 And if you don't have a qualified shop in your area, factor in another $350-$500 for shipping (there and back). Should I Rebuild A Sportster Engine Myself? To get an idea of what a total engine build would really cost, I contacted five motorcycle shops in my area. The local H-D Dealer said they couldn't help me, as did two of the local Indie shops. One shop offered to ship my motor from their shop to V-Twin (Newburgh, NY). Another offered to ship my motor from their shop to Millennium (Plymouth, WI). I would have had to pay for shipping both ways. So, it seems that precious few shops actually rebuild Ironheads in-house any longer, and finding a good Harley mechanic that will work on older bikes gets harder with every passing year. 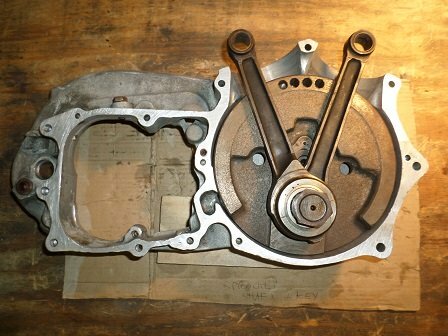 So, should you rebuild an Ironhead engine yourself? On the plus side, every part is available (with few exceptions) for Ironhead Sportsters, either used, N.O.S., or reproduction. Also, any information you may need is easily found on internet forums, Youtube videos, or the good old factory manual. There are two big negatives for first-time Sportster engine builders. First, special skills are required, which are no longer taught in today's vocational schools. 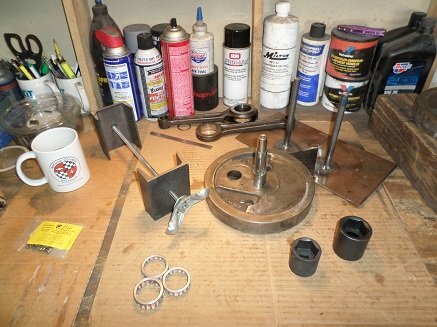 These include flywheel rebuilding, flywheel truing, and honing main bearings (see below). The second big negative is the cost of the tools. If you don't already have them, they may cost you more than having someone do the work for you. Hopefully you won't need every engine tool listed in the factory manual. Aside from basic hand tools, you'll need a piston ring installer, torque wrench, dial caliper, feeler gauge, and quite a few specialty tools. Many of the special tools needed can be fabricated. 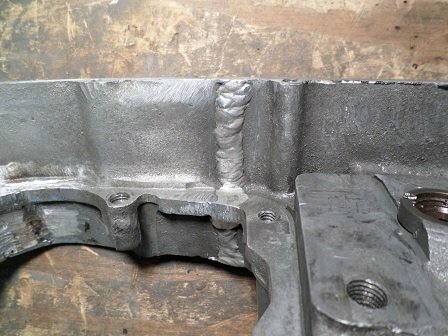 If you can cut, drill, and weld metal, consider making some the tools yourself. Bottom line - it's your bike, you decide. Remember that you are the best mechanic for your bike, and no shop employee could possibly care as much as you do. But if you don't feel comfortable in your abilities, consider farming out some of the repairs and stick with the ones you do feel comfortable with. An Ironhead engine build can be broken down into several categories. These include the top end, bottom end, transmission, clutch, carb/fuel, oil pump, and electrics (distributor, generator). Because no two engine builds are alike, you won't know what tools and skills you'll need until a complete disassembly and careful inspection of parts. Most Sportster engines have taken a lot of abuse, so having a pair of unmolested cases is a wonderful thing. 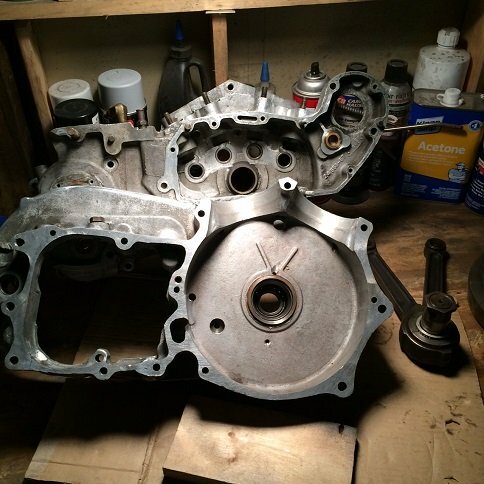 Engine cases are the most important component of an Ironhead engine rebuild. After the cylinder jugs are removed, check the connecting rods for up and down play. Some side to side play is normal and actually needed for when the engine gets hot and metals expand. On average, a Sportster top end will get rebuilt twice before a bottom end rebuild is needed, but remember that you're dealing with a 50 year-old machine. 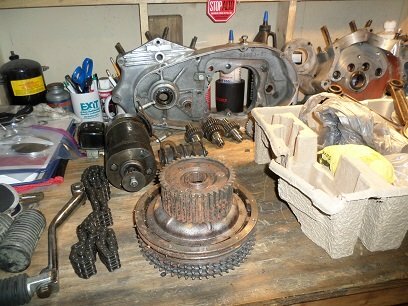 It may be prudent to do a complete engine rebuild from the flywheels up. Always check carefully for cracks upon disassembly. Aluminum engine cases are repairable and can be made as good as new, provided the repair was done right. If your Sportster engine was already running, the cases may be okay, but if they weren't, you won't know what problems you'll have until you put two mismatched cases together. The most time-consuming part of an Ironhead engine build is the bottom end. Repairing the lower end requires specialty tools and skills, and can take considerable time to properly measure and rebuild. Aside from the labor, factor in the cost of parts and special tools needed. Line boring is the process of centering and re-fitting the bearing races in one or both cases. The objective is to have the crank assembly sitting parallel in the cases. In some cases, the races may need to be replaced. Whereas line boring uses cutters with a boring bar, line honing uses abrasive stones, which removes less metal and leaves a smoother finish. Neither line-boring nor line-honing may be needed, but careful inspection and measurement is critical. Due to their 45-degree configuration, V-twin motors such as Harley Sportsters are inherently out of balance to begin with. It is essential that the flywheel assembly to be trued, or engine vibration will not only numb your hands and feet, it may cause internal engine damage. Balancing is about the weight of the pistons, rods and other rotating/ reciprocating items. Truing is done at the factory, balance is not. Balancing may make it run smoother, but if the flywheels are trued and the run-out is within specs, re-using your original parts will have the engine running as it did when it left the factory. Compared to the bottom end, rebuilding the top end of an Ironhead requires less time and less special tools. The two main obstacles will be if the cylinder jugs need boring and if the valve seats need to be cut. This is where careful inspection and measurement pays off. If you're lucky, you may get away with just honing the jugs and installing new piston rings. Ironhead cam removal is easier when the four pushrods are removed. Old Sportsters do not have as close tolerances as modern engines have, but cam clearance should be set to factory specs if not a tad bit looser. If you swap your cam cover out with a new one, or change your cams, always check the clearance. The factory service manual calls for .0005" to .002" minimum clearance. Maximum cam end play should be between .001" to .006".